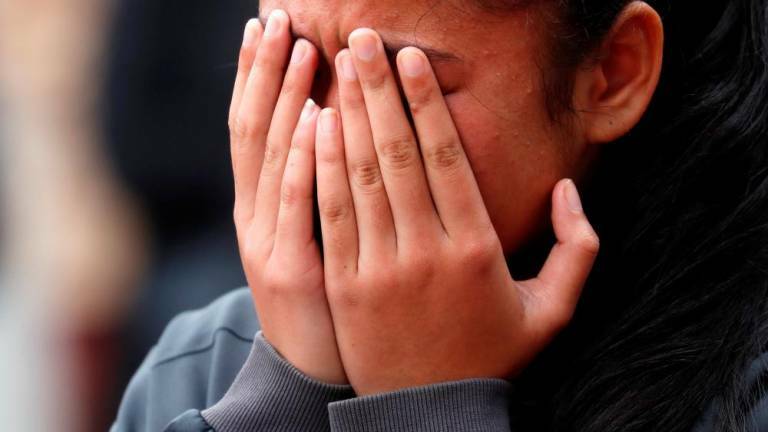 17 Mar 2019 / 19:04 H.
A girl reacts near Masjid Al Noor mosque in Christchurch, New Zealand. 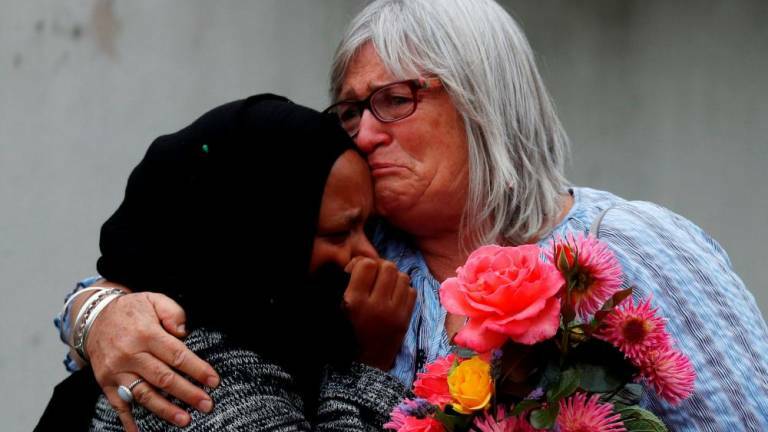 Women embrace near Masjid Al Noor mosque in Christchurch, New Zealand. 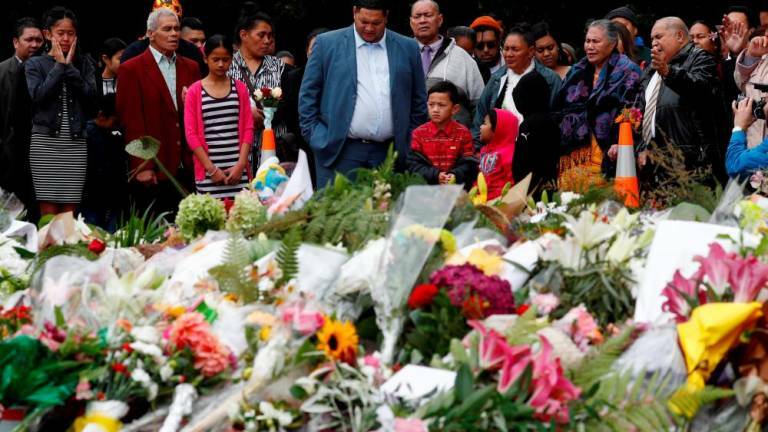 Members of the Maori community sing outside Masjid Al Noor mosque, in memory of the victims of the mosque shootings, in Christchurch, New Zealand. 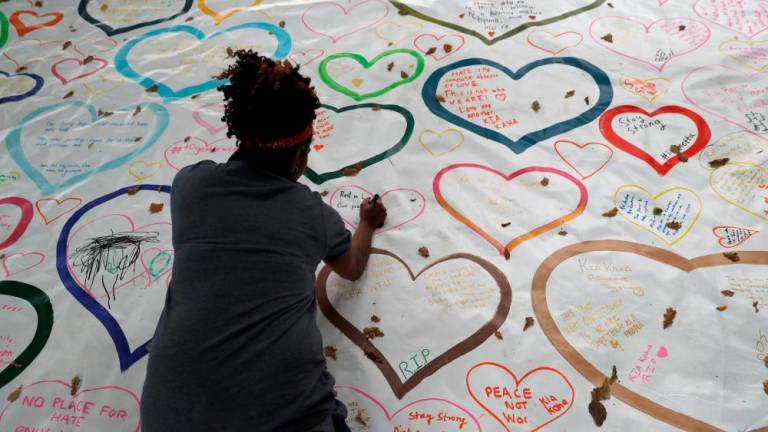 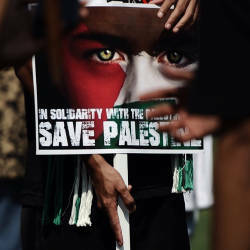 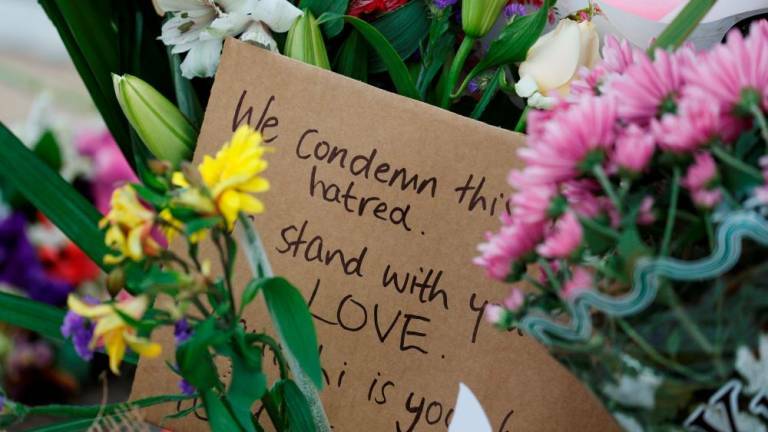 People write on a sign at a memorial as a tribute to victims of the mosque attacks, near a police line outside Masjid Al Noor in Christchurch, New Zealand. 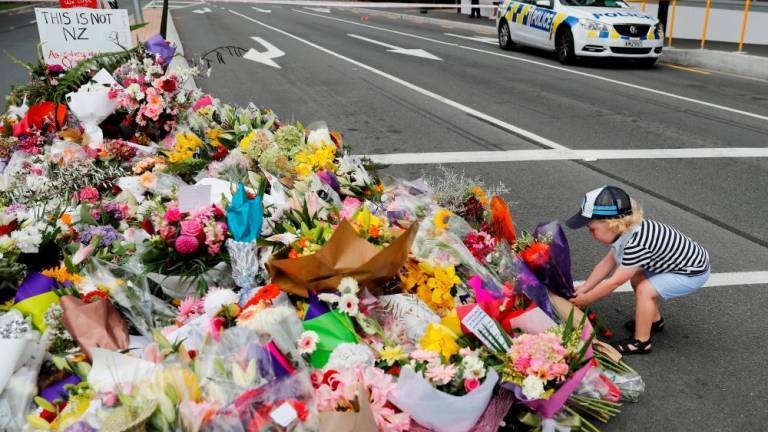 A boy places flowers at a memorial as a tribute to victims of the mosque attacks, near a police line outside Masjid Al Noor in Christchurch, New Zealand. 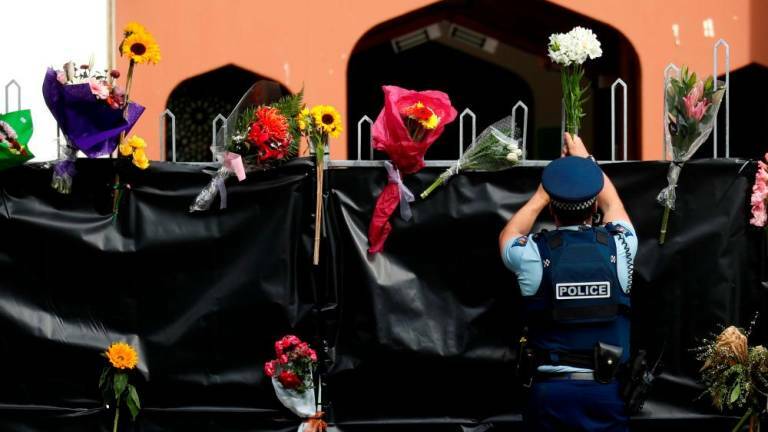 A police officer places flowers at the entrance of Masjid Al Noor mosque in Christchurch, New Zealand. 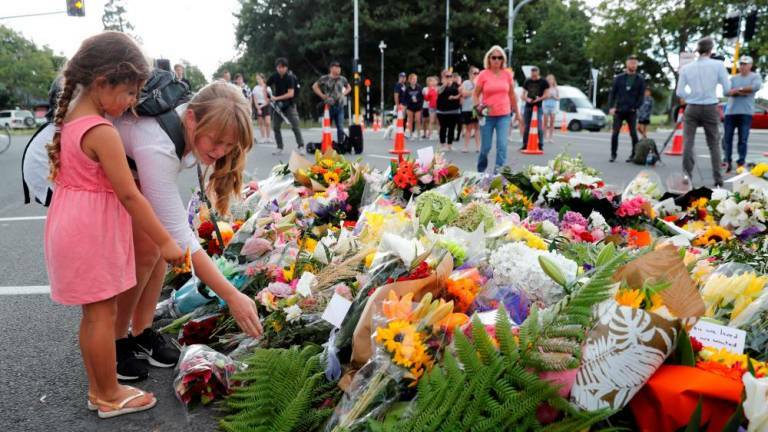 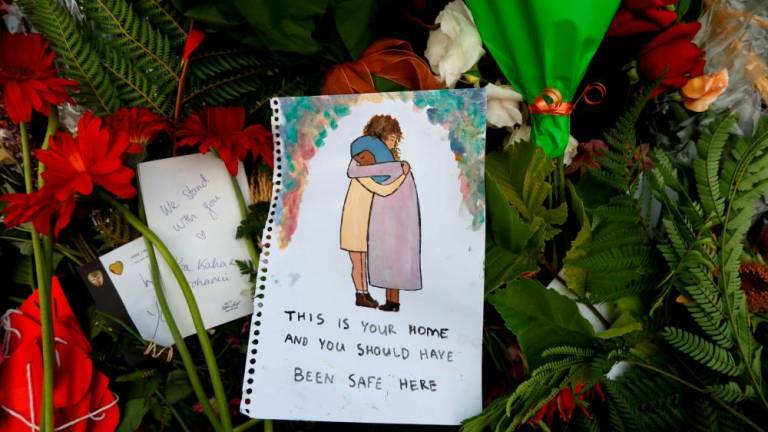 Flowers and signs are seen at a memorial as a tribute to victims of the mosque attacks, near a police line outside Masjid Al Noor in Christchurch, New Zealand.